I feel so lucky to have been able to be involved with this project. I am currently managing the Corcovado Adventures Tent Camp located near Drake Bay in Costa Rica. We have a small local school on a near by beach called “Playa Lapa Roja” loosely translated as “Red Parrot beach”. Most of the locals here live a very simple life and do not have a high income, also it is difficult in this part of the country (The OSA Peninsula) to get basic supplies. The beauty our location offers is because of its remote nature. There are no roads here, the occasional taxi boat can bring things to us but for the average person living out here, basics can sometimes be difficult to obtain. I was contacted by a sailing couple who was coming down the Pacific coast from Oregon. 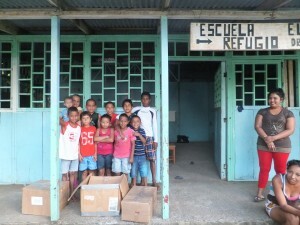 They told me they wanted to bring down some supplies for the local schools and students. 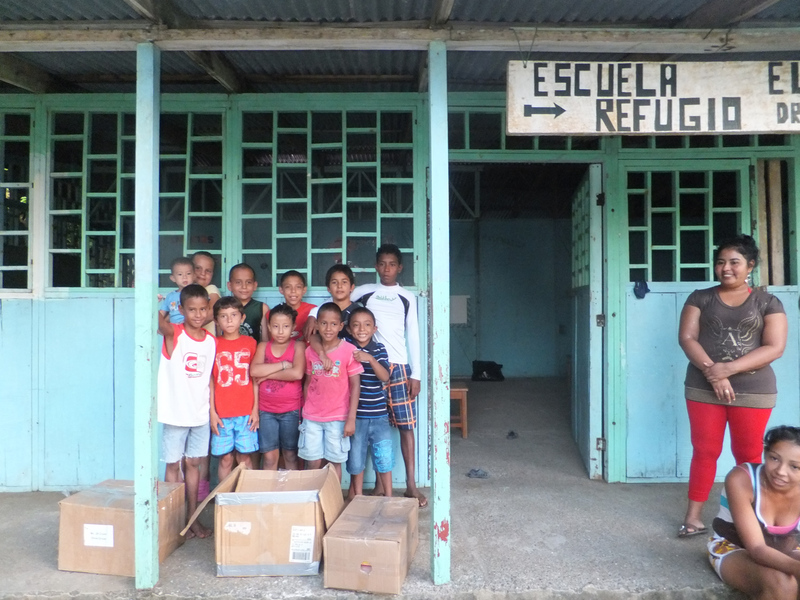 The sailors were adamant about donating to the school in Drake Bay, I explained that this school does need help but has more students, more budget, and is in a location where it is easier for them to get the things they need. I was able to convince the sailors to split their donations and make sure there were enough supplies to go around. The time came and they sailed into Drake Bay, they called me on the radio and organized for one of our boats to meet them and retrieve the supplies. The donation was great and much needed. 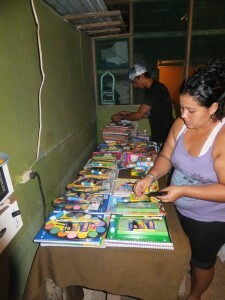 My staff at the tent camp separated all the items and made packages for each student. The packages were simple but meant alot to them. 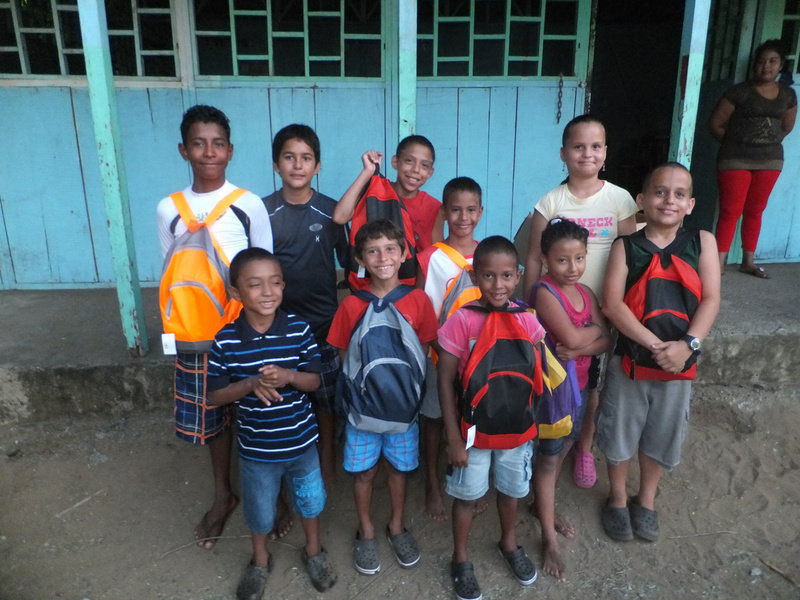 Each student received a backpack full of paper, pens, pencils, and other supplies. We even gave the families new socks and underwear for everyone. 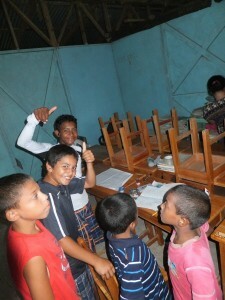 The day came and we gathered the students to give them their gifts. They were all very happy and grateful. I had them make a thank you card with all of their names, emailed the donors, and put it up at the tent camp. After the initial donation guests would see the sign and offer to make donations as well. I hope to continue this project annually and inspire guests to help out as they can.